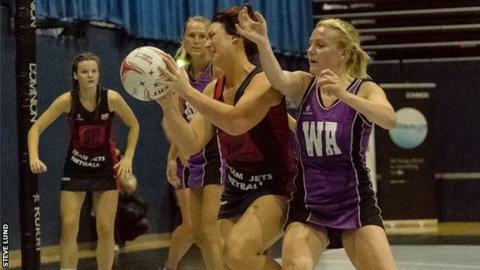 Jersey's Team Jets netball team began their first season in Premier League Two with a 48-46 loss at home to Norwich-based Thoroughbreds. The island side had led by two points at the half-time break. "We've only lost by two goals and we were coming back strong at the end," head coach Linda Andrews said. "This is the league we want to be playing in and I think we've proved that we're worthy to be here," she added to BBC Radio Jersey.